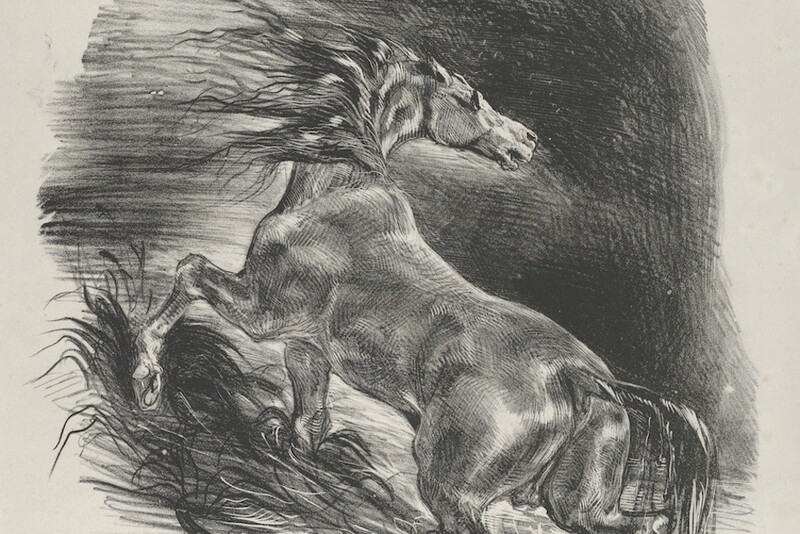 “Wild Horse,” by Eugène Delacroix,1828; lithograph. Art c ourtesy of The Metropolitan Museum of Art. The ice is too thin. Forces his weight. Eyes go wide. As it gives way, swallows his leg whole. Holds us, drowns his cries. A rag of wild horses passing in the distance. Ernesto L. Abeytia is a Spanish-American poet and teacher. He holds an MFA from Arizona State University and MAs from Saint Louis University and the Autonomous University of Madrid. His poems have appeared or are forthcoming in Glass: A Journal of Poetry, PBS NewsHour, The Shallow Ends, and elsewhere.